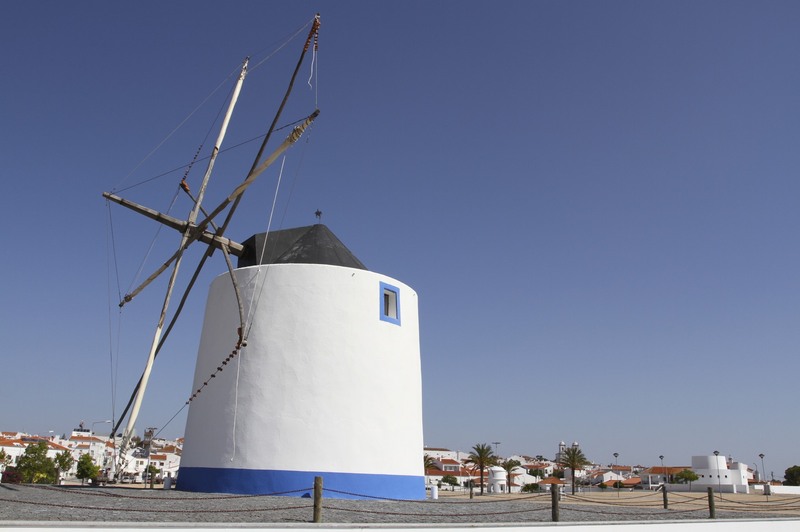 Taking a detour on our southerly journey towards Sagres and Cabo do Sao Vicente, we headed north-west from Mertola towards the small town of Castro Verde. The drive to reach Castro Verde was wonderful, rural back roads that twisted and turned through a near empty landscape of cork and olive trees with a scattering of sheep farms. We hardly saw any other signs of life, or cars on the road. On the surface Castro Verde looks and feels like most other towns in this part of Portugal: narrow streets, whitewashed houses and an absence of any discernible life. A few outdoor cafes with umbrellas, a couple of ordinary looking churches and small leafy plazas sheltering a few of the towns older inhabitants. 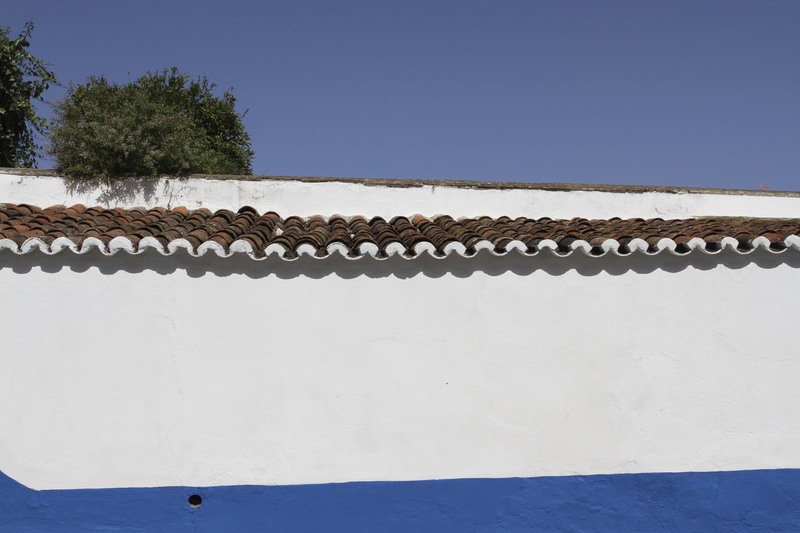 It’s hard to get an impression of a place on such a fleeting visit, but the exterior life of Castro Verde hides something extraordinary. 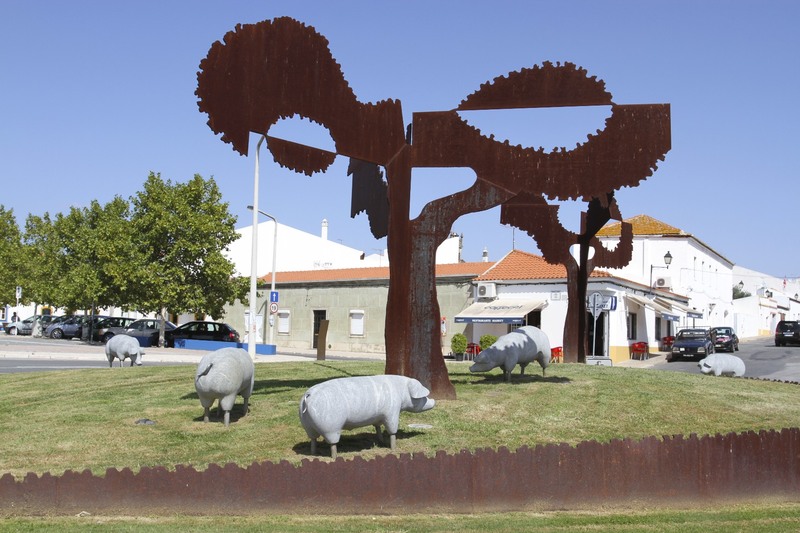 The history of Castro Verde is pretty much identical to everywhere else in the Alentejo: early human settlement, Roman occupation, centuries of Moorish control. 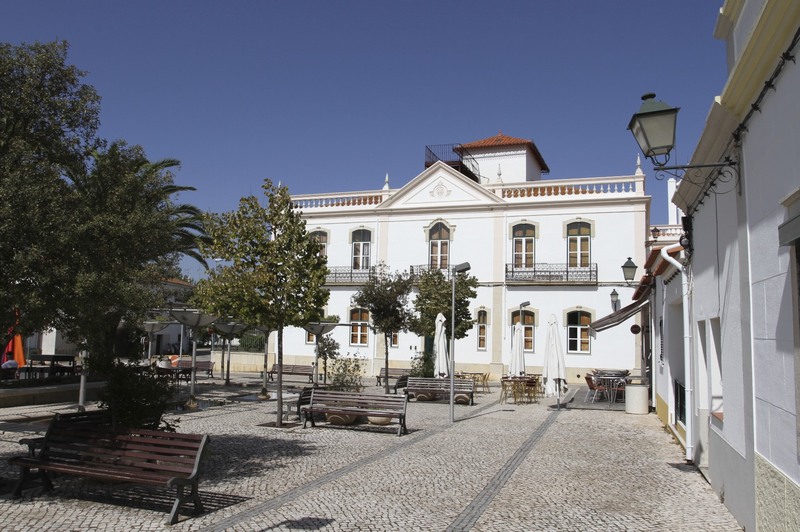 Like anywhere else in the Alentejo except that, at this point, the town’s history sets it apart from everywhere else in Portugal. It was near here in 1139, during the Reconquista, that Portugal became an independent country. 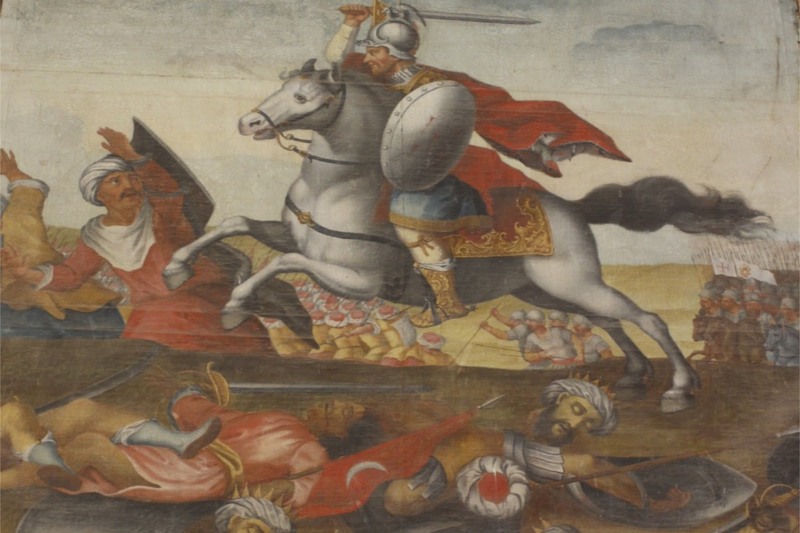 Portuguese and Spanish armies had been variously fighting each other and the Moorish forces occupying much of the Iberian Peninsula when, in 1139 the Portuguese Prince Afonso Henriques, marched his army south and met Moorish forces of the Almoravid caliphate. 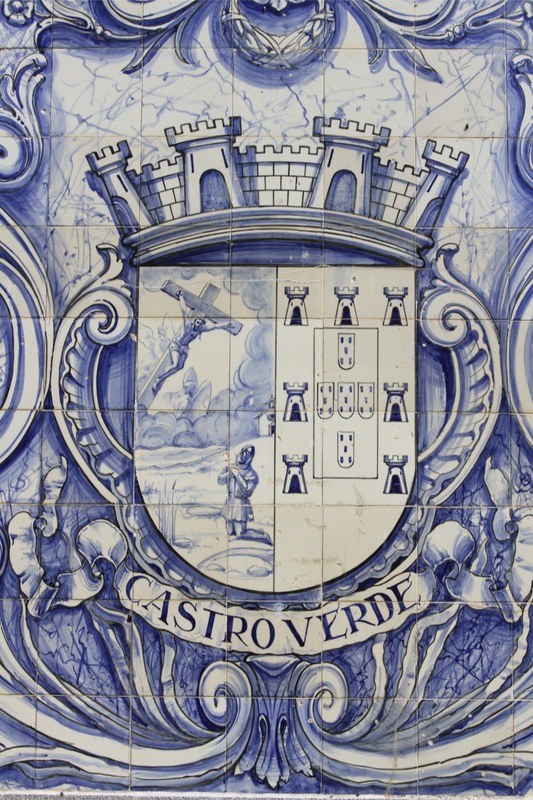 It was near Castro Verde, at the Battle of Ourique, that a crushing defeat was inflicted on the Almoravids. The Moors defeated, Prince Afonso Henriques claimed the title of Afonso I, King of Portugal, paving the way for the creation of the Kingdom of Portugal in 1143. 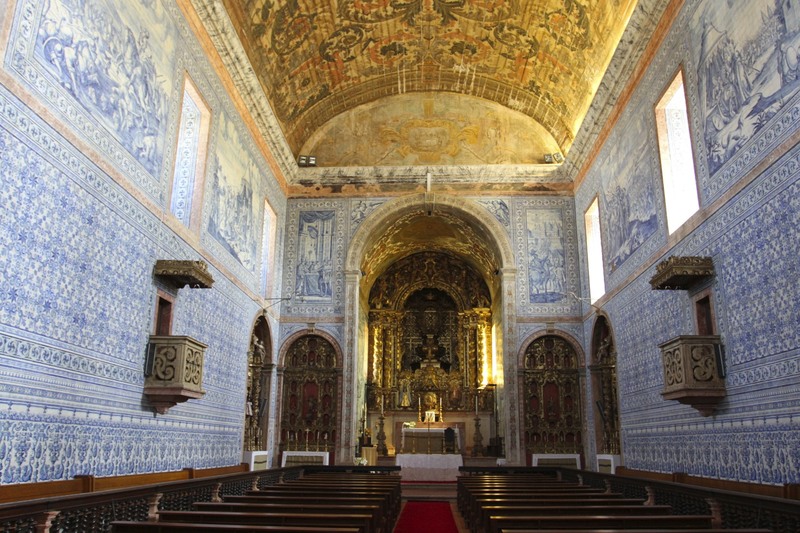 It was here that the dream of an independent Portugal became reality, and it is here that later Portuguese monarchs built a church suitably grand to commemorate the victory. 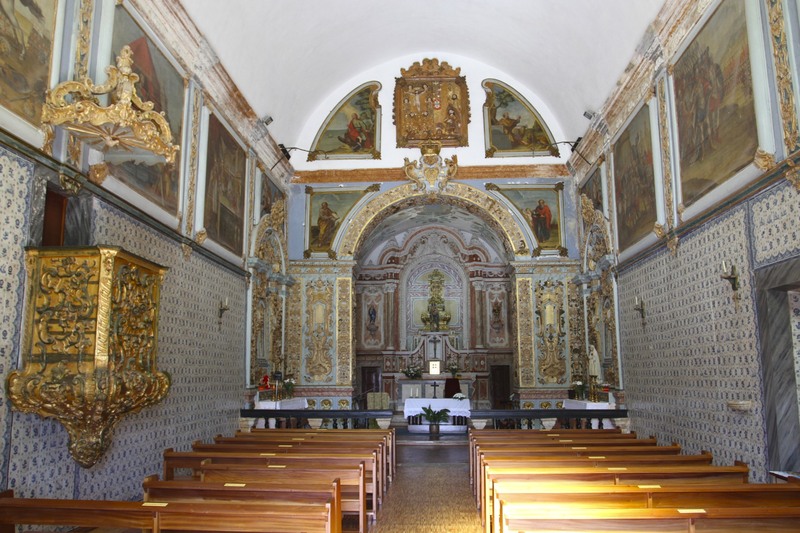 The Church of Nossa Senhora da Conceição, known as the Royal Basilica of Castro Verde, was constructed by King Joao V in the 18th Century to commemorate the victory. 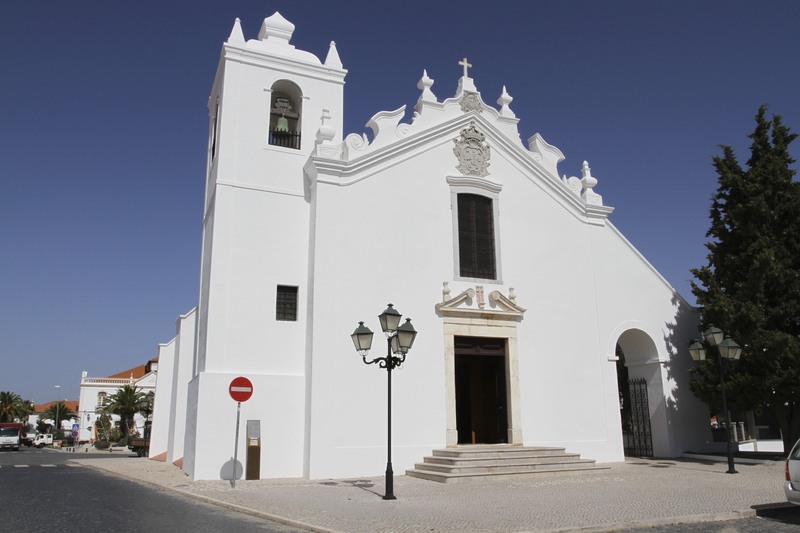 It incorporated an earlier church built by King Sebastian I in the 16th Century. 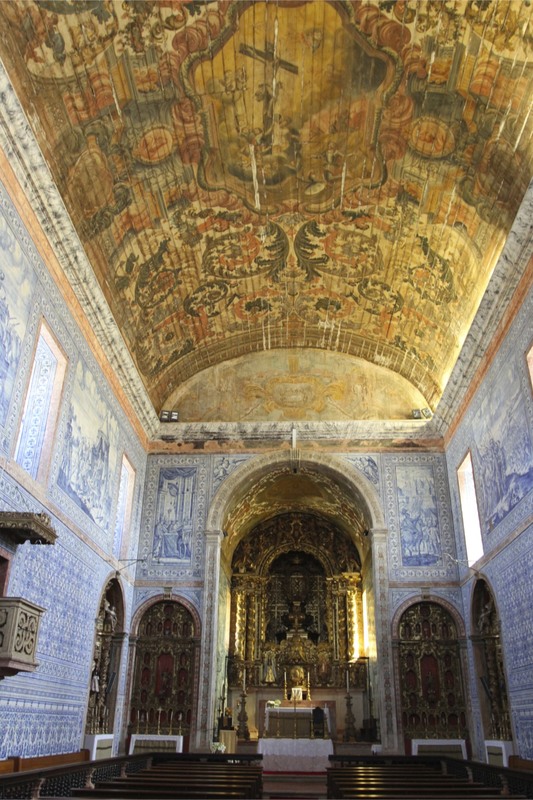 It doesn’t look like much from the outside, but the interior is absolutely, breathtakingly glorious – although the bloody battle scenes depicted on the walls are a bit gruesome. Although very little is known of the battle that was fought near here, the legend is that the Christian forces were vastly outnumbered and that they were only successful due to the intervention of St. James. Over time the tale changed to incorporate St. George and Jesus. 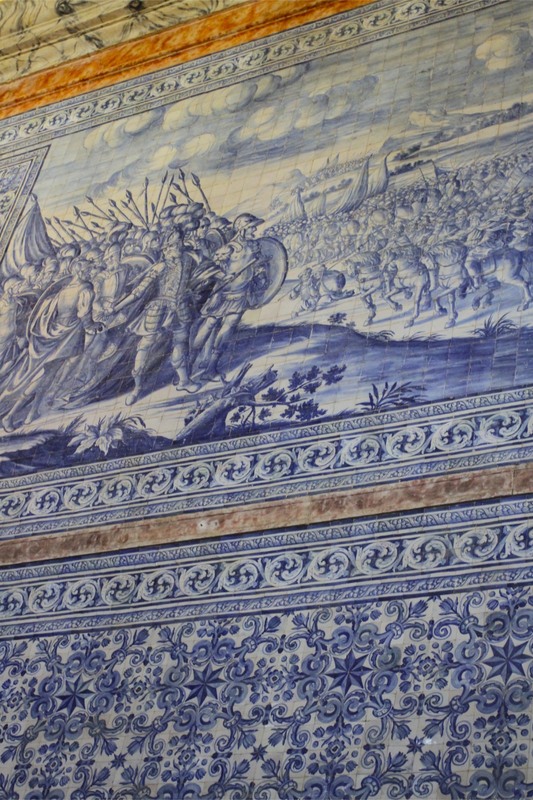 One thing is certain, this myth was used as a political tool to defend Portuguese sovereignty as Divinely inspired. One 19th Century investigator referred to this tale as a “pious fraud”. Something to bear in mind when gazing admiringly at the delicate tile work in the Basilica’s interior. We had arrived with just enough time to visit the Basilica before they closed for a long lunch. Wandering back down the road we chanced upon another church and, because it was still open, popped inside for a look. 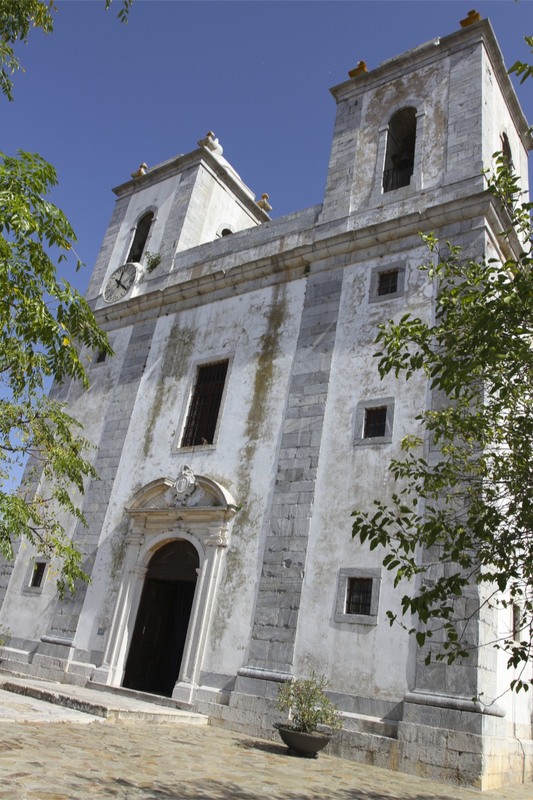 The Church of Nossa Senhora dos Remédios was built in the seventeenth century by King Philip II on the site of a small chapel originally constructed by Prince Afonso Henriques. 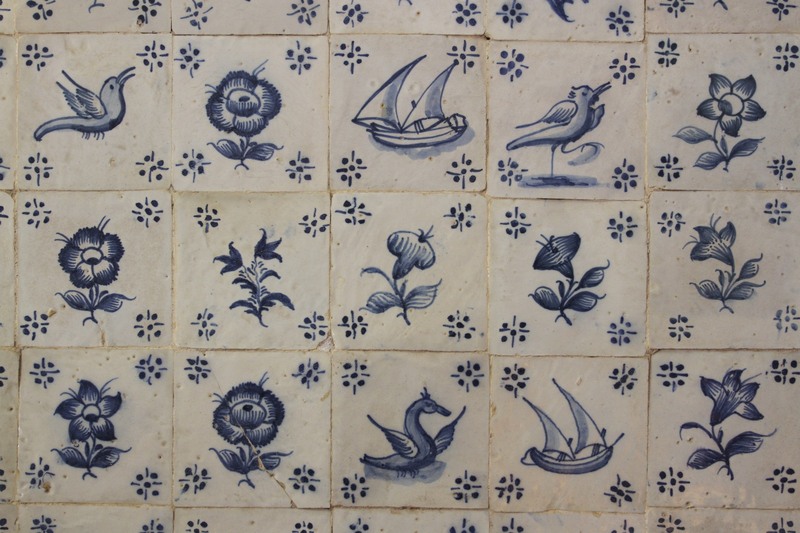 It is similarly and beautifully decorated in blue and white tiles, with a fair bit of gold leaf on display. 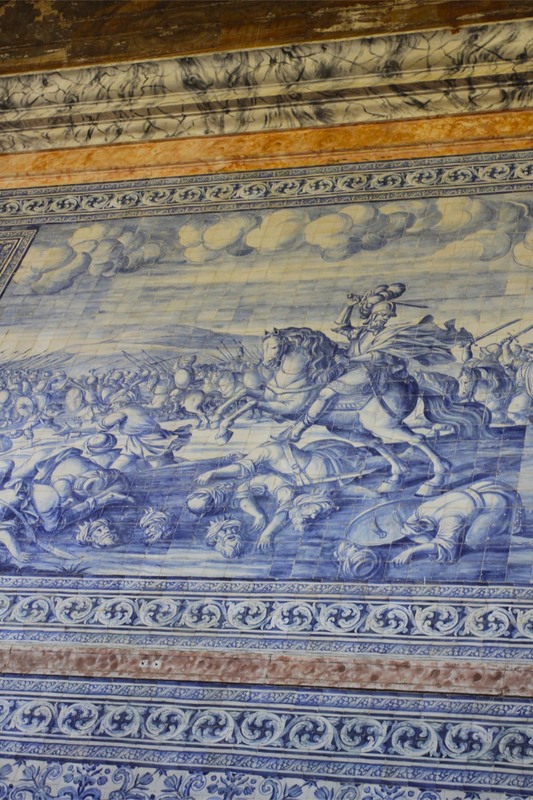 Gruesome scenes of the Battle of Ourique are all over the interior, with plenty of severed heads and limbs on display. I’m not sure all the slaughter is conducive to the quiet contemplation of faith, but it is at least realistic. The battle is said to have raged for two days and was so vicious that a nearby river ran red with the blood of the dead.